The first week of the New Year has been an exhausting one. It heralded the return to work and umpteen house viewings as our search for our first home has intensified. Thus this has also resulted in crashing out on the sofa most evenings, and I haven't blogged as much as I should like as a consequence. I've used glitter tapes to decorate this week, but I really could have done with some stickers for some of the bigger gaps. I have however used some of my favourite clips to keep my page and add some extra sparkle. My blue and thicker silver tape are from ikea, from their Vinter range. The spotty tapes and the thin silver tape are from Paperchase. 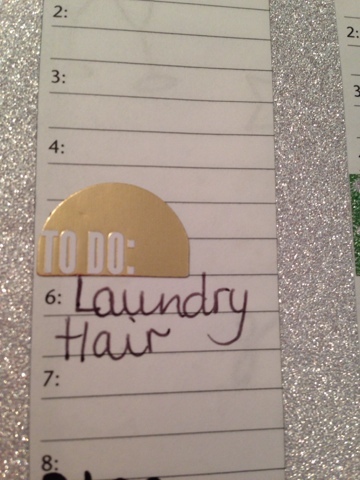 The gold to do sticker is from the Happy Planner range by Me and My Big Ideas. I'm not too sure on this page format for my current uses, I feel like there's a lot of unused space on here. 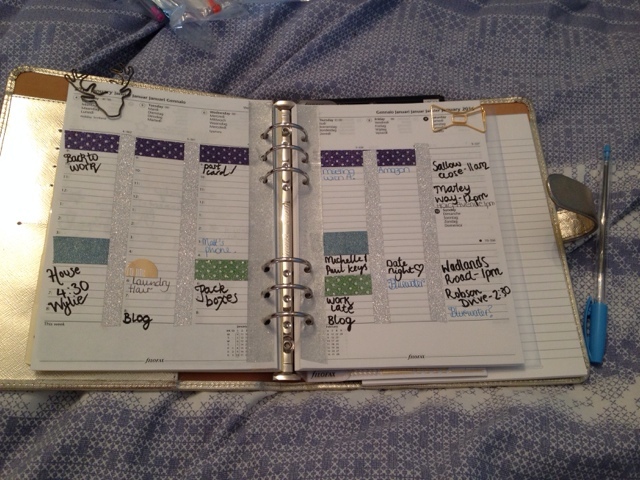 I'm going to see how I go, but I might well be switching back to my usual week-to-view spread. Wherever you are and whatever you're doing, I hope you have a great week!